Ramadan, which is one of the holy months according to the Islamic calendar commemorates the revelation of the Quran to the Prophet. During the festival, a month long fast is observed by Muslims worldwide, broken every day after their evening prayers with delicacies such as kebabs, biryanis, nihari and paya. Like in many other cities in India, Bangalore too has pockets and areas with sizeable Muslim population who light up the local street food scene during the month of Ramadan. 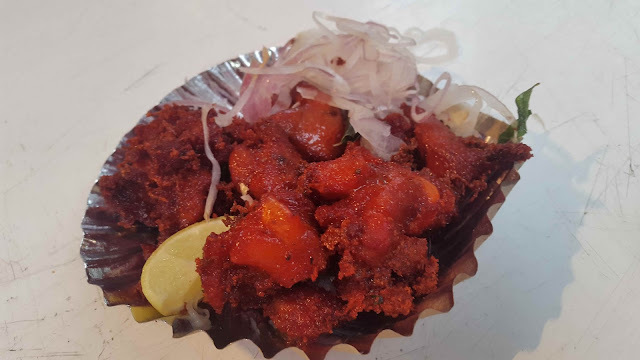 Close to the Russell Market in Shivajinagar is one such area where multiple stalls are lined along the HKP Road selling various kinds of kebabs, samosas and shawarmas, making it one of the best places for a delightful non-vegetarian food walk. The well known restaurants like Royal, Hamza and Hilal which do brisk business throughout the day during other months, remain closed during the daytime for this period. They only open their shops in the evening, after the Maghrib prayers which is around sunset. On a cloudy evening, a week after start of Ramadan, we made our way to this area which was burstling with people. 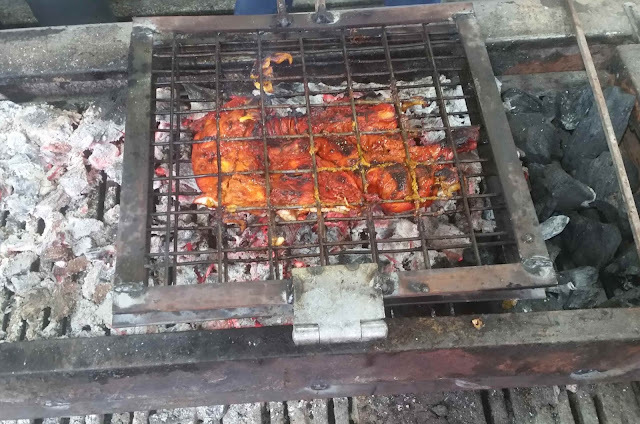 Our first stop was Hamza, where kebabs of various sorts were on display, being fried and served on demand. We chose to taste their Alfaham Chicken which is essentially Arabian Grilled Chicken. 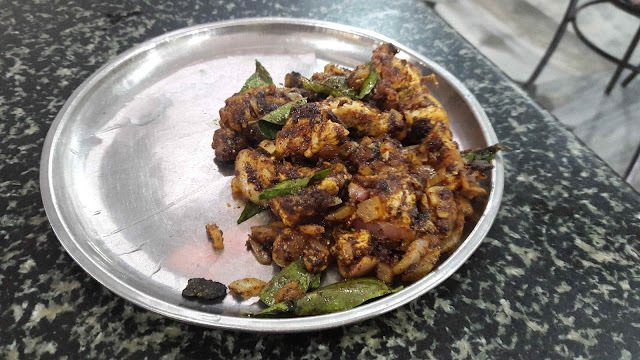 Though a similar version is also sold at Empire and other restaurants, I found that the chicken served at Hamza was much softer and sweeter with the marination having penetrated to the bone. We next made our way to Hilal which is a short walk from Hamza on the HKP Road. 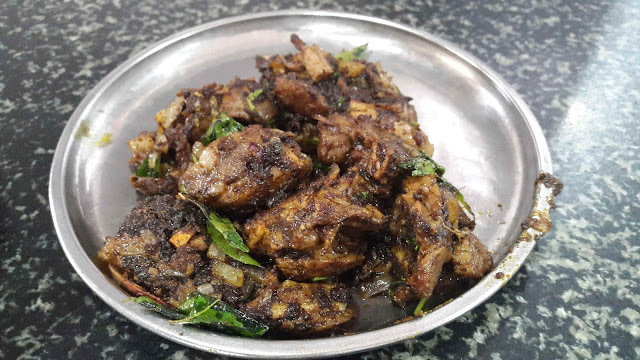 Hilal's speciality lies in their Mutton Pepper Fry and Bheja Masala, both of which are delicious in their own right. The Pepper Fry and The Bheja Masala go great with ghee rice which sort of douses the spice to make it an enjoyable meal. These dishes are also available in their daily menu. 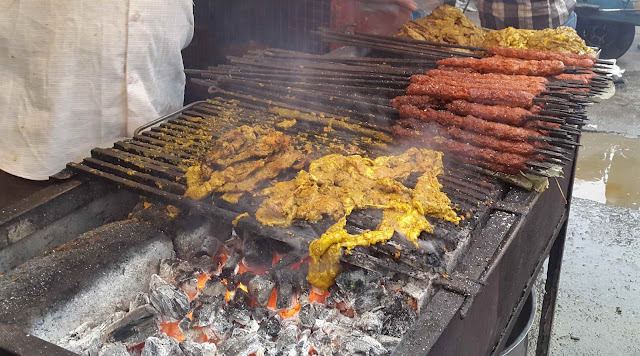 While the well known restaurants like Hilal, Hamza and Royal have always been famous for their treats, one shouldn't miss out the local street food push carts which sell their wares in form of kebabs. A must try is the Phaal at Iqbal Dressed Chicken Corner. 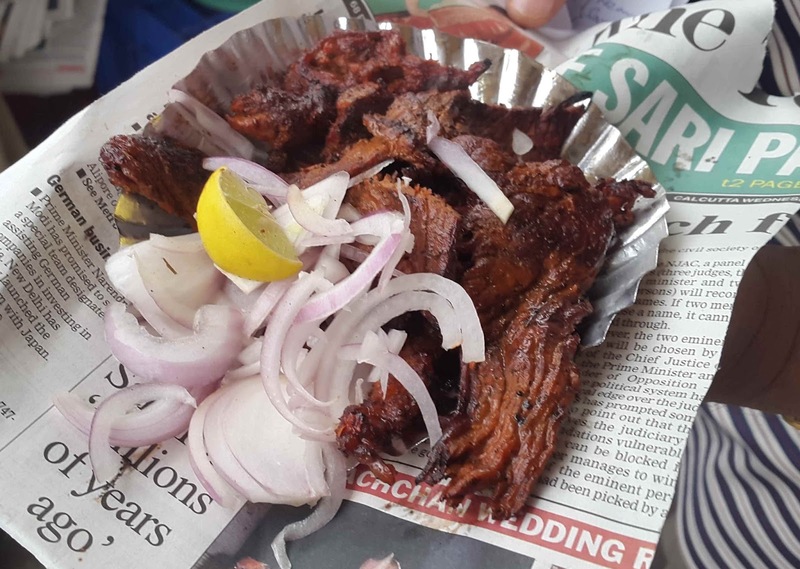 These marinated flattened beef chops are grilled on charcoal and are some of the most unique items available in Bangalore. A short way from Iqbal Dressed Chicken Corner, in the bylane next to it, is Barkat Mia's shop. They have a makeshift food cart arrangement where they sell their wares, right opposite their meat shop. With an array of kebabs being fried and grilled, it is a visual treat for the non vegetarian lovers and one can hardly stare long enough without drooling. Out of all the different varieties of kebabs that were displayed, we chose to go with their Quail Fry and Sheekh Kebab. 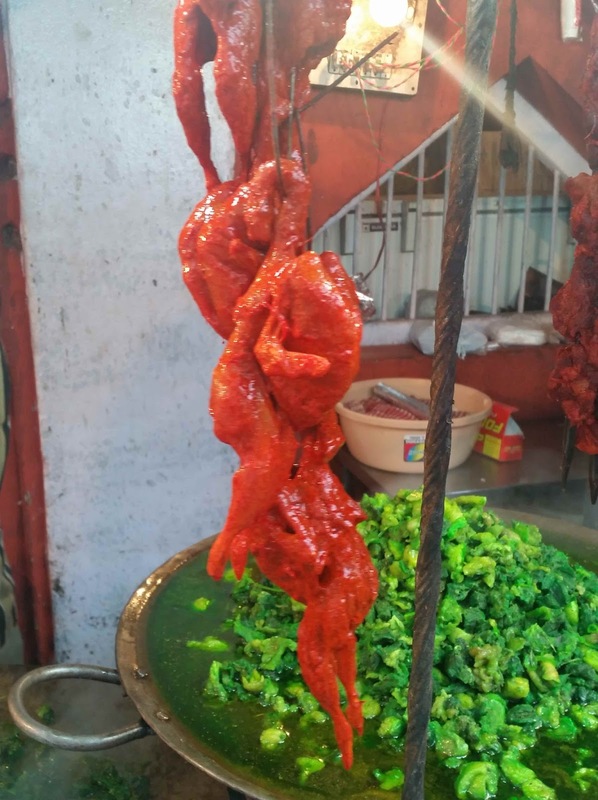 Soft and meaty, the sheekh kebab was served hot from the skewers and just melted in the mouth. The quail was decent too but the marination wasn't as good and the red coloring which is put may upset some health conscious folks. 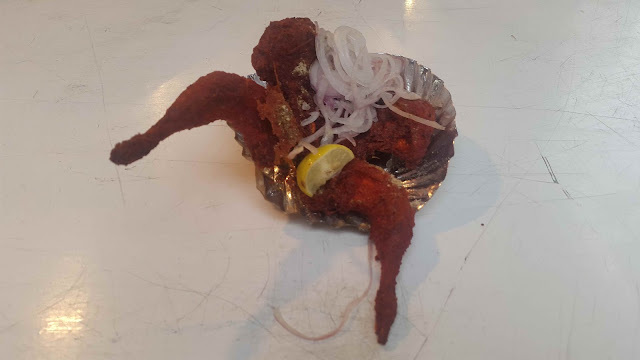 A new concept which I was introduced to was the Veal kebab. Although veal is supposed to be meat from the younger cattle, it is quite loosely used here and is actually beef itself. The veal kebab served here was soft but spicy and tasty. There are many other shops down the lane with most of them selling seekhs of different varieties. 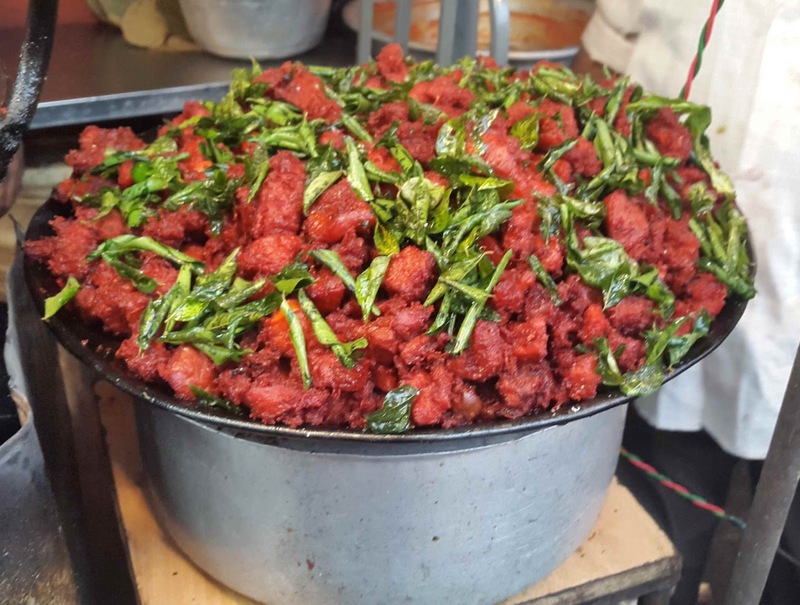 There are also some vegetarian options available in which vegetables are coated in some green marinade before being fried and served with masala. The items are not restricted to the few mentioned here. If you explore the lane going in next to Iqbal, there are many small joints lined up on the left side selling non vegetarian delicacies. 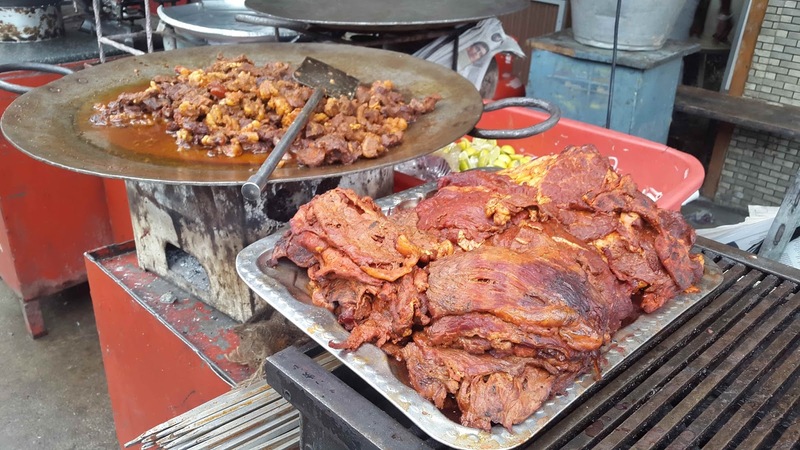 The main road in front of Hamza also has its share of pushcart selling all kinds of street food. With the monsoon showers ending the sweltering heat of the summer, the foodies of every city look forward to the festival of Ramadan. 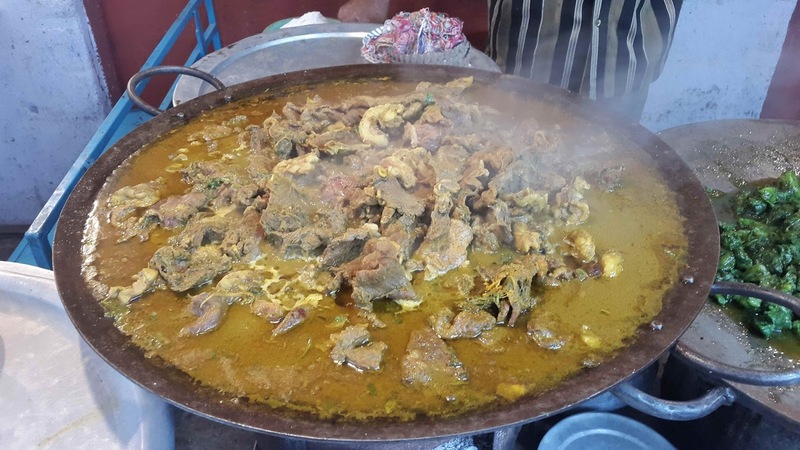 A month of kebabs and biryanis with delectable treats such as Haleem and Paya are widely available lined up in streets, be it Delhi's Jama Masjid area, Hyderabad's Charminar, Mumbai's Mohammed Ali Road or around Nakhoda Masjid in Kolkata. 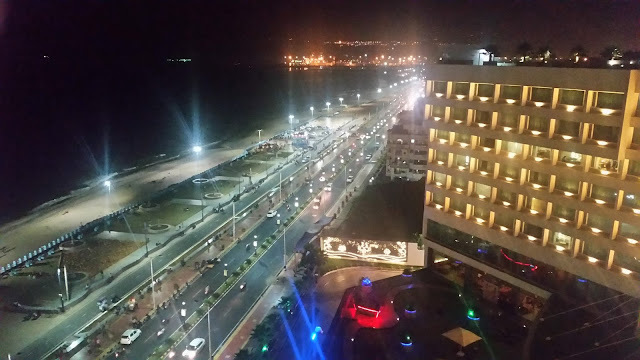 Shivajinagar in Bangalore figures prominently in this list. Any idea till when it is open?